Stanley Kubrick’s 2001: A Space Odyssey was a huge hit in 1968 and also something of a revolution in science fiction filmmaking. other hand, was slow moving and contemplative. The special effects were meticulously crafted and realistic. Classical music gave the space sequences a sense of elegance. The film thoughtfully raises questions about what it means to be human in a universe in which we are not alone, but provides no answers. Viewers are invited to enter the Monolith and fly through the “star gate” with David Bowman, but they must decide for themselves the meaning of what he finds on the other side. 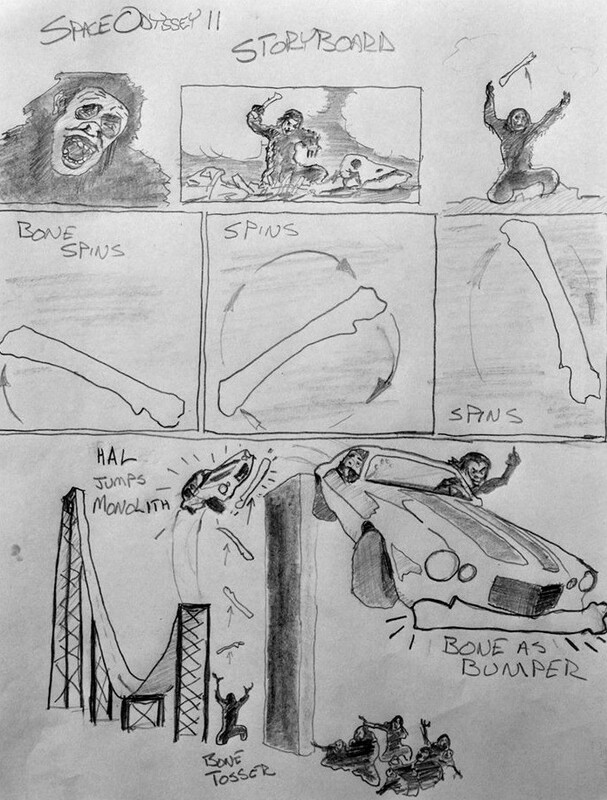 A storyboard page from Roger Corman’s proposed sequel. Not all viewers were impressed with this ponderous epic, but those who were returned to the theaters again and again, ultimately making the film a financial success. This popularity meant that MGM was anxious to produce a sequel as soon as possible. 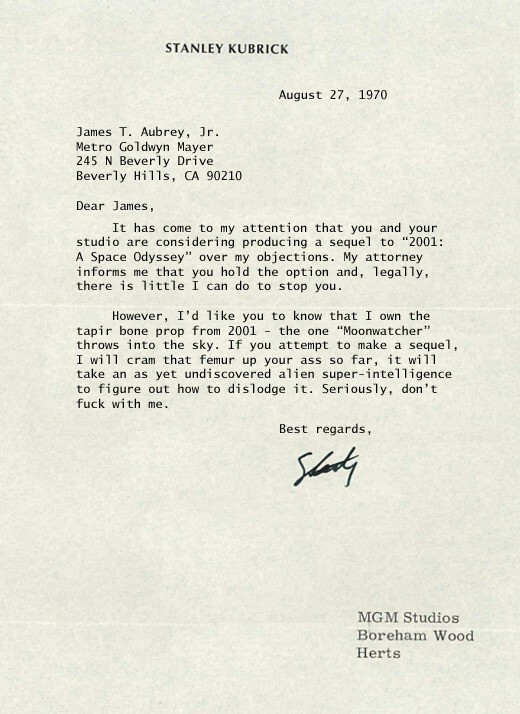 Kubrick’s angry letter to MGM’s CEO. legal action should MGM try to make one with a different director. Kubrick’s threats were essentially empty because MGM owned the rights, but studio executives found that, in a show of solidarity, no reputable director would touch the project. Finally, in desperation, they contacted low-budget film impresario Roger Corman, who agreed to direct the sequel so long as he was given absolute creative control. Fearing that momentum built up by the original film’s success would stall if they waited too long, the studio agreed to Corman’s demands and hired him to direct the film. Corman chose to write the film himself and, three days after signing the deal, presented the finished screenplay to MGM executives. The executives were unsure what to make of the script, which Corman had titled 2002: Another Space Odyssey. 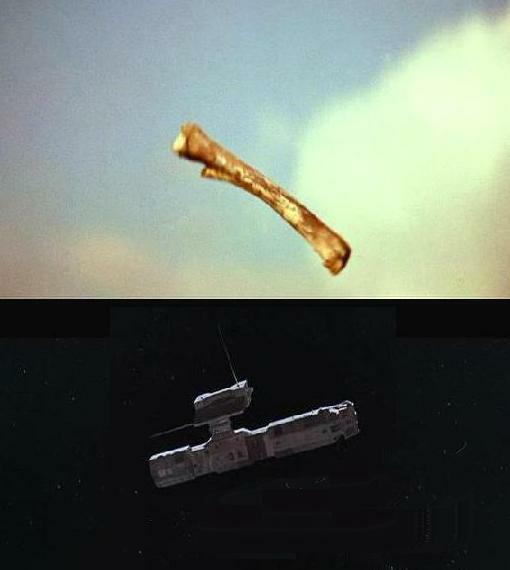 In Corman’s story, David Bowman returns to earth from the mysterious alien world that he inhabited at the end of the first film. In an attempt to reintegrate into society, he opens a car repair shop in Alabama with his pal Skeeter. 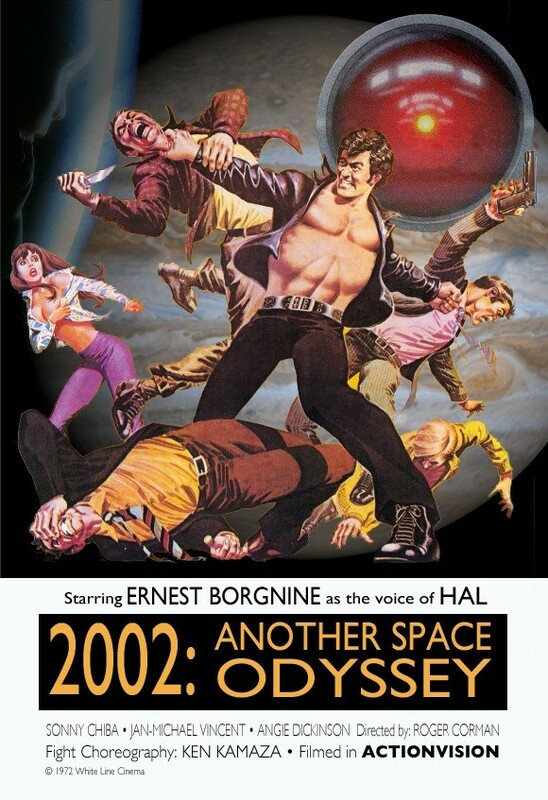 The poster mock-up for the proposed 2001 sequel. One day Bowman is replacing the valves on an El Camino when Lulu Blossom, the daughter of the county Sheriff, wanders into his shop. The two hit it off right away, but just as they realize they are falling in love, Lulu is kidnapped by local moonshiners. Bowman and Skeeter give chase in Bowman’s sentient Camero “HAL” (the acronym for Hot As Lightning) which has a caustic personality and makes wise cracks through a glowing red light on its dashboard (predating the hit television series Knight Rider by ten years.) Bowman, Skeeter and HAL pursue the moonshiners, while simultaneously being pursued by the Sheriff, who wrongly believes that Bowman is the kidnapper. Skeeter is ultimately killed when he is run over by a conflicted HAL, but Bowman finally defeats the moonshiners with the help of a band of surprisingly violent apes who derive their fighting abilities from an eerie, black Monolith. Shortly after her rescue, Lulu becomes pregnant with Bowman’s baby. In the final shot of the movie, the Starbaby (actually Bowman and Lulu’s unborn child) appears over the earth. Angry that it was conceived out of wedlock, it destroys the Earth in a moderately-priced effects shot. Realizing that producing the film would likely lead to box office failure and would tarnish the legacy of the original film, MGM executives pulled the plug. Corman shrugged off the setback and set to work on his next film, Von Richthofen and Brown. The sequel to 2001: A Space Odyssey, was eventually made, but not until 1985. All of Corman’s ideas were discarded for the sequel except for the character Skeeter, who was retained. Congrats on elements of your story going viral. Hopefully folks will be able to find your original post.